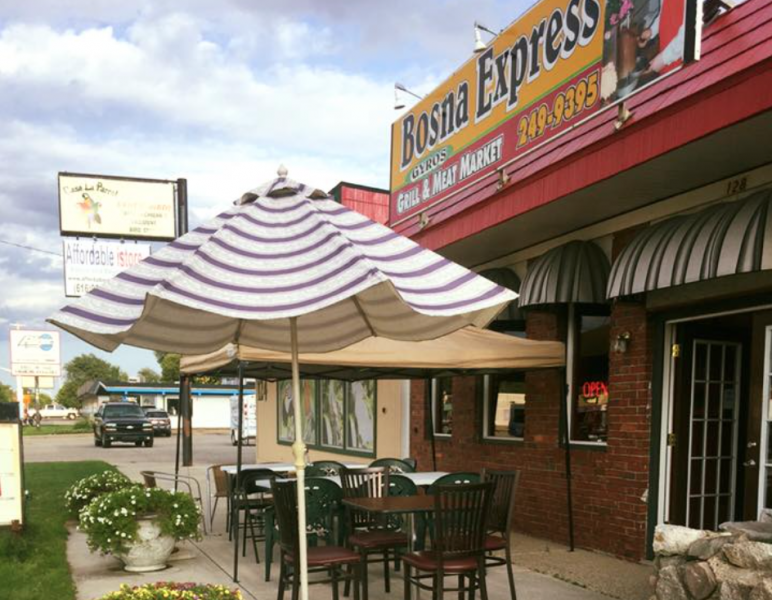 Grand Rapids' Bosnian restaurant, Bosna Express, recently made significant changes in ownership, beverage offerings and design. If you live on the southwest side of Grand Rapids or in the Wyoming area, you may be aware of the Bosnian restaurant on 28th St. - Bosna Express. It's been just outside of the Grand Rapids borders in Wyoming at 128 28th St. for a long time, next to the Pizza Hut on the corner of 28th St. and Buchanan Ave. and in the same building as Casa La Parrot. I've been going there for long enough to remember them at their old location on Clyde Park. Honestly, their gyro is likely my favorite "sandwich" in the city. The bread alone is to die for. The restaurant has a Facebook page, but not a website. Recently, they made some architectural redesigns to their interior and got their tavern license, so the experience of eating there is a bit different. I asked Dino Duratovic, the general manager at Bosna Express, some questions about these changes. How long has Bosna Express been in business? Have you always been at this location? Bosna Express has been in business for 14 years now. We originally started on the corner of Clyde Park Ave. and 44th St.
What compelled you to renovate your restaurant now? What changes did you make in design? The reason for the later change in the restaurant is that my younger brother and I have decided to put our interest in the restaurant industry and take over what my father started. Some of the changes we have made are a new inner decor. That inner decor has created a restaurant/pub feel to the place. We also have a newer up-to-date menu, and we have recently acquired our tavern license. Do your customers like the new look? Customers currently love the new look! Which is very positive for us. Do you have plans for further expansion? Right now we are set with this location, [and are] still working on expanding what we have here. But in the near future anything is possible, and we will keep our eyes open. How large is the Bosnian community in Grand Rapids? 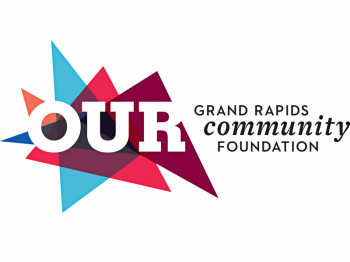 Grand Rapids has a very diverse community here which is fantastic. But, specifically, there is a large Bosnian community. My family and I moved here in 1999 from California and have loved GR. Why did you move to Grand Rapids? We moved here from California due to the living cost. Another huge factor for our move here was family members in the area as well as the booming automotive industry. What makes Bosnian food unique? How have you incorporated that into your menu? Bosnian food is similar to many Eastern European cuisines. Cevapi, a minced beef sausage which is a Bosnian staple, is one of our popular menu items with customers. Also we have stuffed peppers, cabbage rolls, beef stroganoff and many other ethnic dishes. Our most popular item is our gyro, which technically is not even Bosnian. Our gyro is a little unorthodox because we don't use a flat pita, we use a Bosnian bun or roll called lepinja - which people love! The restaurant's new beer tap gives it much more of a bar feel than it used to have. Are you getting a good night crowd? The new beer tap and wide range of beers we carry have created a nice night crowd that is slowly improving. When we brought in beer and wine, that was our goal: to bring in more people at dinner and at night. 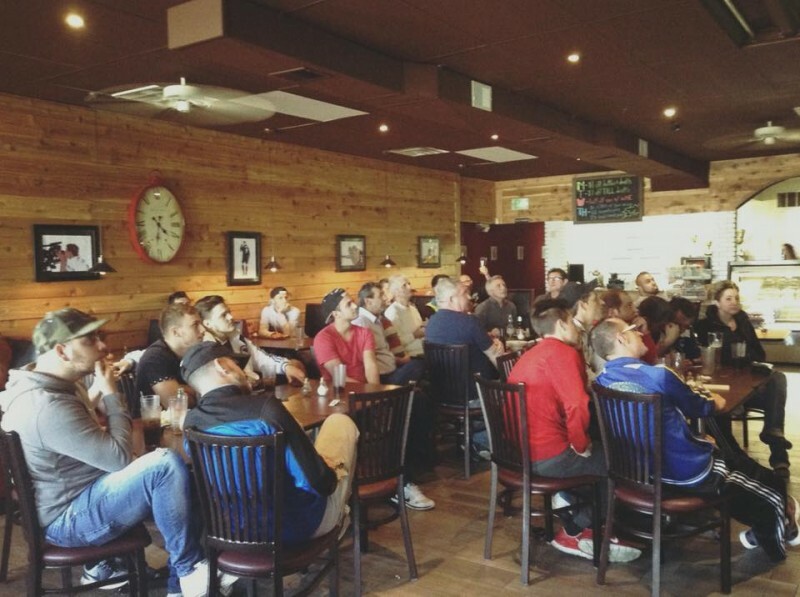 Our night crowds have been great in the sense that it is an atmosphere that is laid back and just has beer, great conversation and good laughs.